Coney Street is the main street for shopping in York and always has been. Dating back as far as 1213 when the Vikings named it. Department stores and well known chain stores make up most of the street today but there are some historical features to be seen. Halfway along look up and see the huge clock which dates from 1668. At St Helen's Square end of the street there is the Mansion House which is the official residence of the Lord Mayor of York. Parliament Street was built in 1834 and houses some of the largest Banks in the city. The wide pedestrian street is used as a venue for festivals and exhibitions as well as street entertainers. The Fountain here is a popular meeting place with the al fresco coffee bars providing seating. Just off Parliament street there is a fresh fruit and vegetable market called Newgate Market which is open everyday. The market also has various other stalls selling goods at low prices. 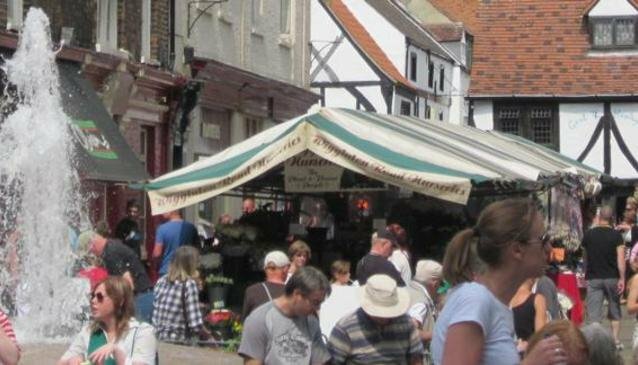 Stonegate is one of the most popular shopping streets for the tourist in York. It is full of Character and charm and is always busy. There are a variety of shops and eateries. The Olde Starre Inne, possibly the oldest pub in York is located on this street. At the top of Stonegate is Petergate which stretches from Bootham Bar to Kings Square. This street has a variety of shops and restaurants catering for the tourist and the locals. The Most famous street of all is the world famous Shambles which you must see while you are in York.